It stimulates the fiber content of the digestion of the animals and also promotes tooth abrasion. 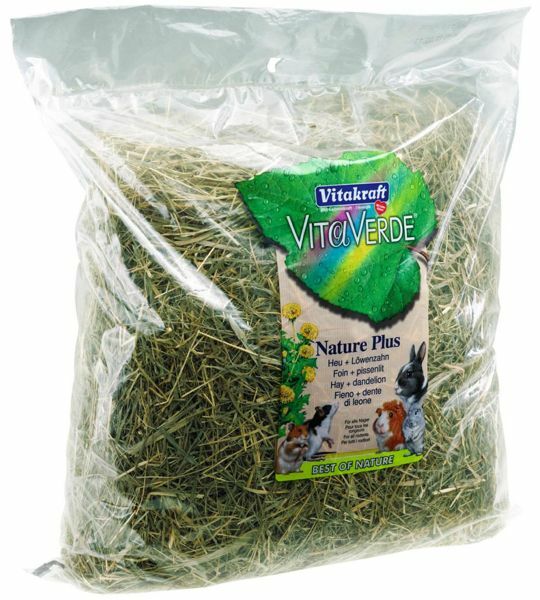 Vita Verde hay is a natural product, gently harvested and dried in the sun, so that natural vitamins are largely retained. Enriched with savory dandelion, which is known for its stimulating effect on renal function and the promotion of well being.